As the weather gets cooler it's nice to curl up with a warm bowl of nourishing soup. This recipe has been adapted from a Taste.com recipe to be low in FODMAPs but high in flavour! 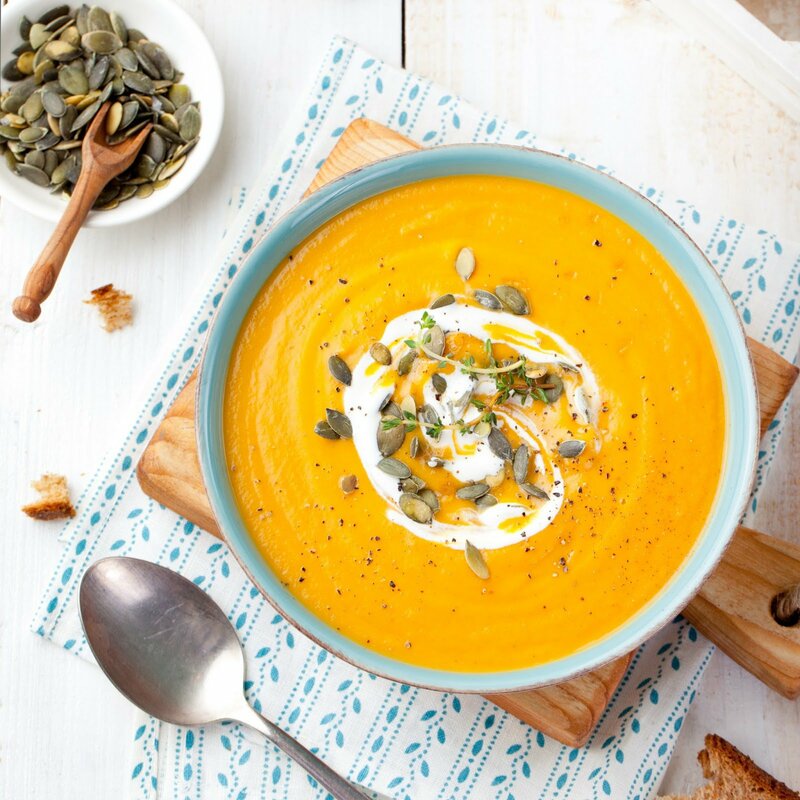 Serve this meal with some natural yoghurt (lactose free if needed) and a piece of low FODMAP bread for a tasty meal! Preheat oven to 210c. Place cut pumpkin and carrot on a lined tray and drizzle over 1 Tbs of the garlic oil and 1 Tbs of the olive oil. Toss to coat. Place in the oven for 30-35 minutes. Meanwhile, heat the remaining oils in a pot over medium heat. Add the mustard seeds and spices, cook stirring for a couple of minutes or until aromatic and the mustard seeds pop. Add the roasted carrot and pumpkin to the pot along with the stock and the water. Increase heat to medium, cover and bring to the boil. Reduce heat to low and cook covered for 15 minutes. Transfer half of the mixture to a jug and blitz with a stick mixer, repeat with the remaining pumpkin mixture. This soup freezes really well, double the mixture and freeze for a great low FODMAP portable meal.